When you’re building a new website, or starting an extensive web development project, you undoubtedly want to choose the right content management system for the business. With so many options and varieties – open-source, closed-source, blog-focused, eCommerce-focused, etc. – it can seem like there isn’t really an option that stands out as a clear winner. We’ll help you evaluate the different aspects of content management systems and better understand how they work so that making a decision on which one to use for your business is easy. 0.2 What is a content management system? 2017 has brought with it many changes to the digital marketing arena, one of them being the increased impetus on content marketing. Research shows that 68% of customers get their information through company-generated blog posts and videos. So far-reaching is the impact of content marketing on customer acquisition that 75% of global marketers are increasing their investment in content marketing this year. Although helpful, content marketing is riddled with challenges; the most obvious being the curation and management of content. To be able to effectively implement their content marketing strategies, marketers need to deploy content software and technology, at the helm of which stands a content management system. Before you can choose a content management system, it’s essential that you understand how one works, its benefits and feature-set. This will allow you to make an informed decision based off the needs of your business and website. A content management system (CMS) is a GUI which helps users create, edit and modify content digitally. It powers your website and provides the backend system that’s needed to administratively take care of updates, install themes, and plugins. CMS’ also allow users to search for content, index these searches, retrieve archived content and publish new content on the web. WordPress is a great example of a CMS. Over 28% of websites around the world run WordPress. This is an application that can be used to create blogs/websites/portals, edit them, change the format, theme, add additional features and more. You can even share your creation on various social media platforms automatically using plugins. CMS’ have large libraries which give users access to content, which can be easily used and shared. Some CMS’ also enable users to manage videos, images, graphics and data on the web. Content management systems are designed to provide advanced features, while keeping in mind the novice user. Simplicity and ease-of-use are typically top priorities for a content management system. CMS’ usually have a WYSIWYG editor – What You See Is What You Get. Creating web pages is as easy as creating an MS Word document. CMS’ allow users to manually update and modify sites. As there is no third-party software developer in the picture, you can now easily change/update the layout of your site within minutes. CMS’ are regularly revamped and updated and users get to have a piece of the latest in content management technology, all without having to spend thousands of dollars in the process. From SEO-optimization to social media marketing, CMS’ have a large repertoire of content marketing channels that are ready-to-use. Most CMS’ will have an up-to-date content library which is accessible to all users. It’s easy to source and share content on a CMS, making your site a portal to other great content for your users. Control is a key feature of a CMS. The application allows users to set workflows and stay organized. Publishing posts, pages and other forms of content is easy and optimizable. Given how CMS’ offer cross-channel marketing opportunities, it becomes extremely easy for marketers to increase their brand’s visibility through CMS’. 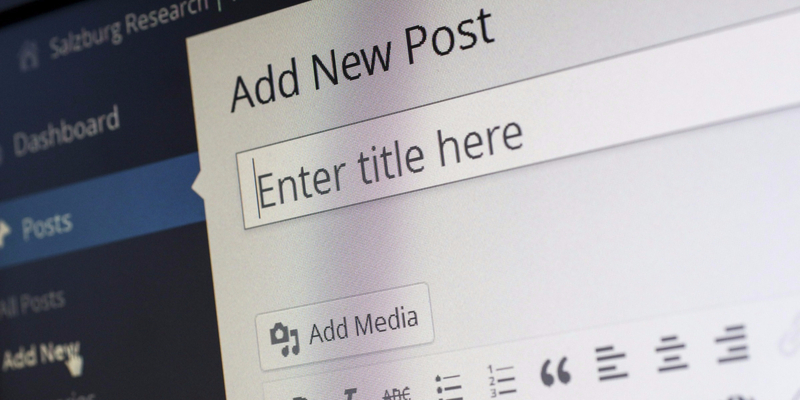 From email marketing to blogging, you can use a CMS in multiple ways. CMS’ help users design good contact forms without having to touch code. Additionally, these applications help users create easily navigable sites and blogs, designed for customer comfort. Most CMS’ can be optimized for many devices, something now called responsive design. This gives users greater flexibility in reaching customers across devices. With more designers experimenting with AI and machine learning, CMS’ are all set to take on a proactive role in cross-selling. Advanced CMS’ have the ability to identify purchase patterns and consumer preferences. The first step is to understand what exactly you want out of your content management system. Do you only wish to blog? Are you planning to set up a website with a payment gateway? Understanding what you aim to achieve with your website and content marketing campaign will help decide on a content management system that’s the most practical for your purposes. Do I have the technology and the knowledge to manage my own application? Do I possess the resources to keep my software safe from hackers? Can I manage by myself should the software experience any problems? If you have all the knowledge and technology to manage your CMS single-handedly, using an on-premise CMS or a cloud-hosted CMS will help. Here, the application is hosted on your own/the vendor’s servers (respectively) and the management of the application is in your own hands. However, if you don’t want to be bogged down by technicalities, you can choose a Software as a Service Solution (SaaS) CMS solution, where your vendor will take care of application maintenance, upgrades and other technicalities. You only need to focus on content creation. Opensourced software: Where the development of the software is open to all users and each user has the autonomy to upgrade/develop the software. Close sourced software: Where a third party developer develops, maintains and upgrades the software. Close sourced CMS’ usually have a highly structured and dedicated support system. This makes them perfect for users who prefer professional help and support when using the application. However, because they are governed by a third party developer, close sourced CMS’ do not give users much flexibility in the management of the application. Opensource CMS’, on the other hand, are managed by users themselves and give great freedom and autonomy to users in terms of application management and development. In saying this, you need to note that open source CMS’ lack a strong support system and users need to rely on their own knowledge to solve problems and fix bugs. These CMS’ may have large development communities, but they won’t come with support from the developer themselves. If you’re looking for a completely up-to-date and fully-loaded CMS, then the initial cost would be very high, as you have to consider the cost of developing the plugins and features that are specific to your application. However, the longer you use a CMS, the lower the costs get, as software upgrades are typically included in the initial pricing. If you only need a basic CMS, then your initial costs will be quite low as you won’t have to pay for custom development or the purchasing of plugins. Although you may set out with the objective of creating a simple blog, your business may evolve into something more significant over time. It’s important to identify potential opportunities that you may encounter as your progress. Choose a CMS that can be scaled as your business grows. Content management systems are of great help to marketers, businesses and individuals. They allow you to create content and share it in a way that engages your audience efficiently. Investing in a CMS that has the features and potential that your business needs is a wise decision.